I needed a hose splitter so this summer I could fill the kids pool and use the sprinkler without having to keep flipping hoses because I can never get the existing hose off. Flexible Hose Connector/ Garden Hose Splitter: 2 Way by Careful Gardener is going to be perfect! 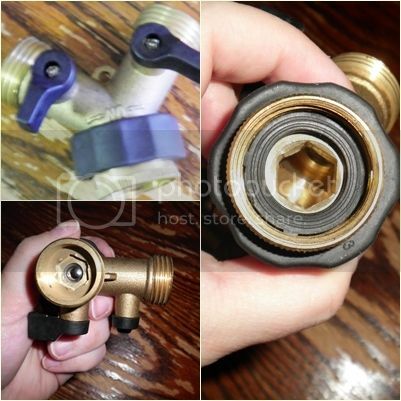 Once your old hose or splitter is off, it only takes only a few seconds to install by just turning the rubber connector onto the threads of your outdoor water spigot. Made of solid brass, this splitter will not rust, crack, or leak. You can tell right away how durable this is going to be because it feels so high quality. Each side has its own shut off valve so you can truly control both sides and be even more convenient. The water pressure is very good with the valve fully open. You could always use this too on a laundry tub spigot if you like to use a hose but also sometimes just want to just use the sink normally.